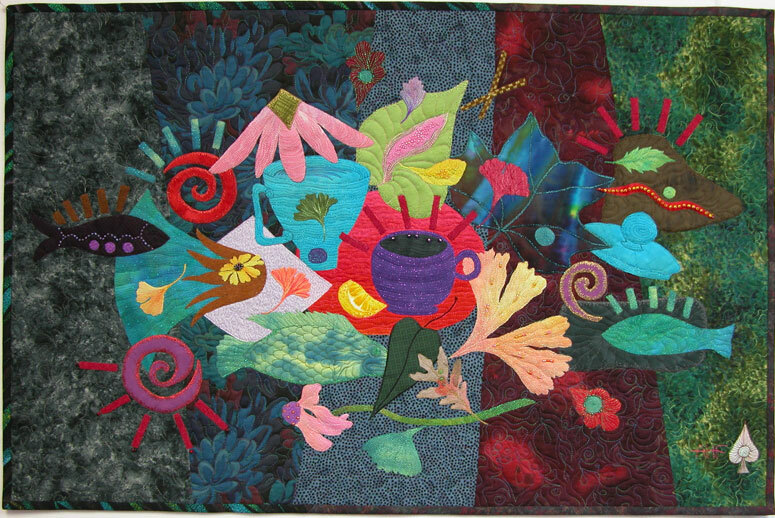 A collage of scraps from a multitude of my past and future work creates this wall hanging. 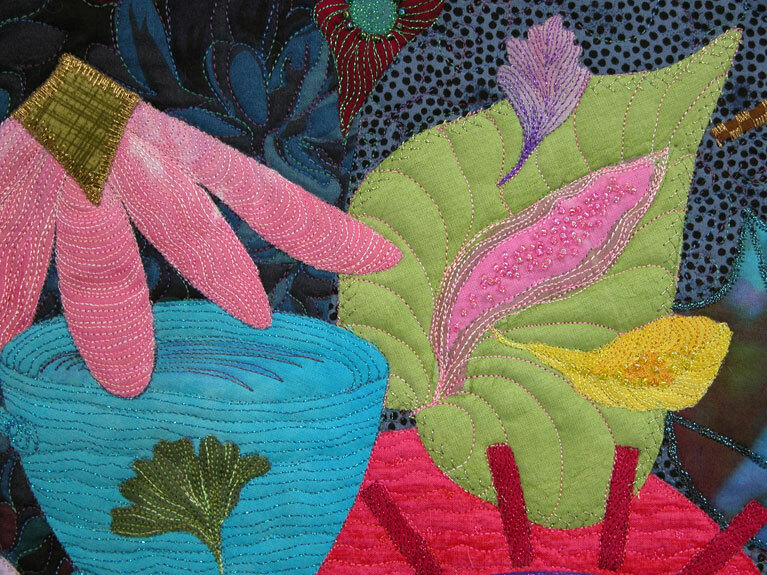 I always save the little bits and pieces left-over that have the fusible web on the back. For the background, I pieced five strips of fabric together in gray, navy, blue maroon and dark green. Then I just played with all the scraps, leaves and tea cups in my scrap collection, until I was pleased with the arrangement. I really had fun embellishing all the little pieces. 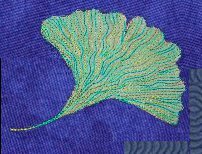 I embroidered many with variegated or metallic threads, hand beaded the areas that interested me, then machine quilted with a blend of leaves, loops, spirals and hearts. The edges are bound with a black/blue stripe and a gray/maroon commercial print. 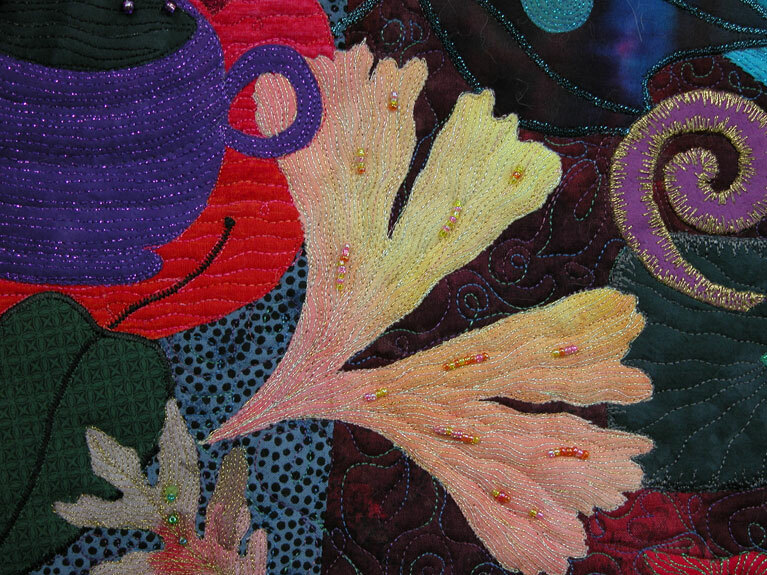 This quilt was featured on my blog on topics such as beading, using metallic thread, and choosing appropriate bindings. http://annfahl.blogspot.com after January 6 2012. 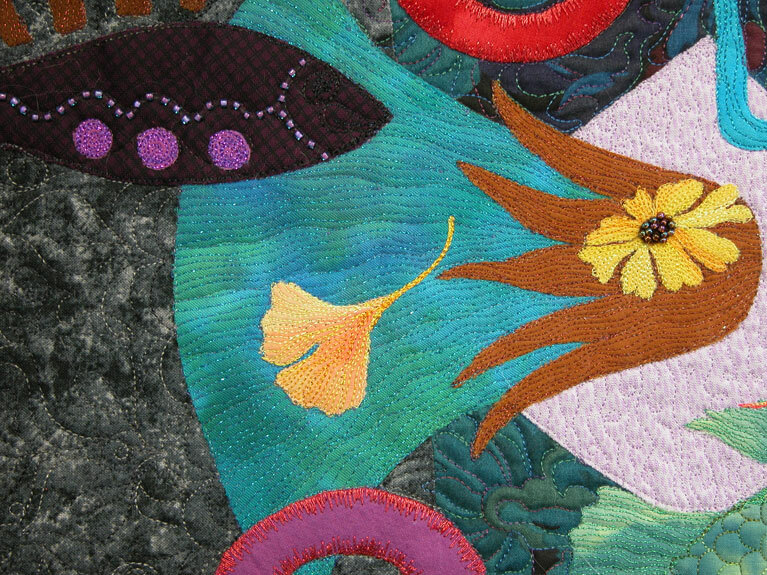 If you wish to purchase a quilt; you may pay by check, via PayPal, or use Ann's layaway plan. Please fill out Quilt Purchase Agreement for layaway option.